Since the number of toxic ingredients is so vast, we’ll limit our list to some of the more common culprits. Some are found in foods and beverages while others are lurking in clothing, personal care products, medications and supplements, household cleaning items, and everyday products. Some ingredients can be found in more than one category. That said, here is our list of ingredients to avoid in 2018—and always. Artificial anything. This could include ingredients such as colors, flavors, or sweeteners. While the word “artificial” doesn’t always mean harmful, it’s a red flag when we’re talking about products we put into our bodies. Artificial colors, flavors, and sweeteners have been linked to hyperactivity in children, nervous system disorders, allergic reactions, rashes, respiratory distress, headaches and migraines, nausea and vomiting, memory problems and dizziness, among others. Artificial colors, flavors, and sweeteners can be found in many processed foods and beverages as well as in medications (both over-the-counter and prescription), supplements, cosmetics, and some personal health care products. Be especially mindful of artificial ingredients in any products for children, as their smaller bodies are more susceptible to the hazards. Synthetic fragrances. We like things to have a pleasant smell or aroma, and the synthetic fragrance industry is more than happy to meet those desires. However, nearly all of the chemicals used in synthetic fragrances are derived from crude oil and include substances linked to birth defects, central nervous system disorders, hormone disruption, allergic reactions, and cancer. When a product lists “fragrance” on its label, there are more than 3,000 possible substances to which you can expose yourself. These fragrances appear regularly in personal care products such as shampoo, body lotions, and toothpaste, as well as cosmetics, home cleaning products, air fresheners, and laundry detergents. Look for fragrance-free products whenever possible. You also might consider making your own fragrance-free or naturally scented personal care and household cleaning products, and DIY air fresheners using essential oils. Parabens. These synthetic compounds are commonly used to stop the growth of bacteria, fungus, and other potentially harmful organisms in personal care products, cosmetics, medications, and supplements. Parabens (such as methylparaben, ethylparaben, butylparaben, propylparaben, and isobutylparaben) also can be found in trace amounts in foods. 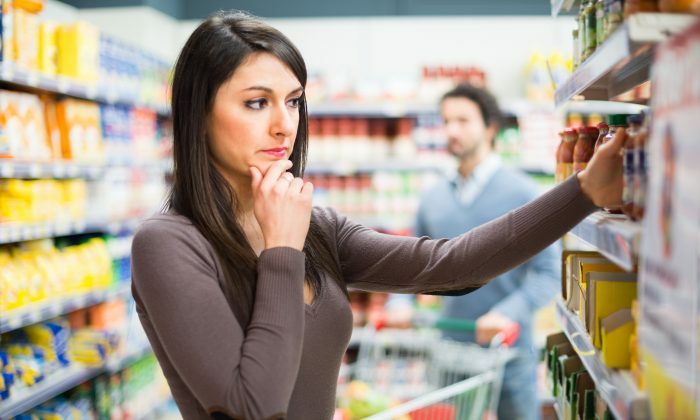 In fact, about 90 percent of grocery items have been found to contain identifiable amounts of these preservatives. Research has shown that parabens are absorbed through the skin and can disrupt hormone function— specifically, activity that is linked to an increased risk of breast cancer and reproductive problems. Read labels carefully for the presence of parabens, and instead look for the growing number of paraben-free personal care products and cosmetics on the market. Sodium lauryl sulfate. This harsh detergent is popular among manufacturers because it’s inexpensive and foams easily, which is why you’ll find it in shampoos, soaps, toothpaste, and other personal care items. Sodium lauryl sulfate causes rashes, eye irritation, and other allergic reactions. Some products containing this ingredient also has traces of a carcinogen called 1,4-dioxane, which is formed during the production process. Fortunately, there are many personal care items free of these harmful ingredients on the market. Petrolatum. You may see this ingredient listed on labels as petroleum jelly or mineral oil, and for many people, it seems like a fairly safe, innocuous product. However, petrolatum, which, as the name suggests, is derived from petroleum, can suffocate the skin and actually lead to chapping and dry skin—which it’s supposed to prevent. In addition, petrolatum is likely contaminated with polycyclic aromatic hydrocarbons (PAHs), which have been classified as probable or possible carcinogens. Petrolatum has been found in breast tumors and contributes to premature aging, aggravates acne, and can promote sun damage. While manufacturers like petrolatum because it is extremely inexpensive, the cost to consumers is great in terms of health risks. Avoid at all costs, especially in baby products, and look for natural alternatives, such as coconut oil, shea butter, and olive oil. Phthalates. These industrial chemical compounds are ubiquitous, so steering clear of them can be a challenge. Phthalates can be found not only in personal care products and cosmetics that contain fragrances but also in everyday products ranging from toys to detergents, food packaging, lubricating oils, vinyl flooring, wall coverings, medications, automotive plastics, insecticides, medical devices, building materials, and more. Awareness of phthalates is a big step in the right direction. Choosing fragrance-free personal care products, cosmetics, and detergents is a significant way to reduce your exposure. Avoid plastic toys for your children. Buy whole foods and avoid plastic packaging when possible. When choosing building materials or items for your home, see if there are all-natural options for flooring, wall coverings, and other products. PERC. If you have your clothes dry cleaned, or if you purchase clothing that has been dry cleaned, you are exposing yourself to PERC, also known as perchloroethylene or tetrachloroethylene. The Environmental Protection Agency has noted that this solvent and metal degreaser is associated with brain and nervous system damage and also suggested it be classified as a likely human carcinogen. Side effects of exposure to PERC include respiratory tract irritation, kidney dysfunction, mood and behavioral changes, dizziness, headache, sleepiness, impaired coordination, cognitive difficulties, and reproductive damage. Some cleaning establishments are now using pressurized carbon dioxide instead of PERC to dry clean clothing. The dry cleaner I use advertises this in their window (I think the fact that they choose to promote it signals a sea change in the industry). There are also many DIY solutions available online to try, which are better for your health, and your wallet.